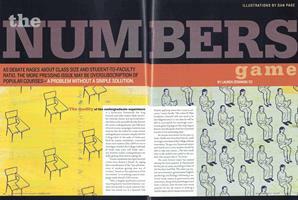 As debate rages about class size and student-to-faculty ratio, the more pressing issue may be oversubscription of popular courses—a problem without a simple solution. Starring in the hit TV series Friday Night Lights, Connie Britton ’89 is living large with an acclaimed acting career. 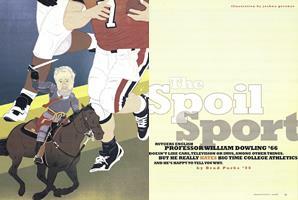 Rutgers English professor William Dowling ’66 doesn’t like cars, television or Imus, among other things. But he really hates big time college athletics and he’s happy to tell you why. Genetic engineering—when properly controlled—can enhance and lengthen human life. An expert on the College’s 19th-century alumni dispute puts today’s discord in historical context. The College’s 16th president, Jim Wright, 68, discusses his decision to retire in June of 2009. Thomas Vance was the epitome of professor as lecturer, a model now out of favor. Main Street glows in the early morning of December 16 as a severe snowstorm dumps several inches of fluff on the ground. For this mom, homeschooling proved educational for everyone in the family.